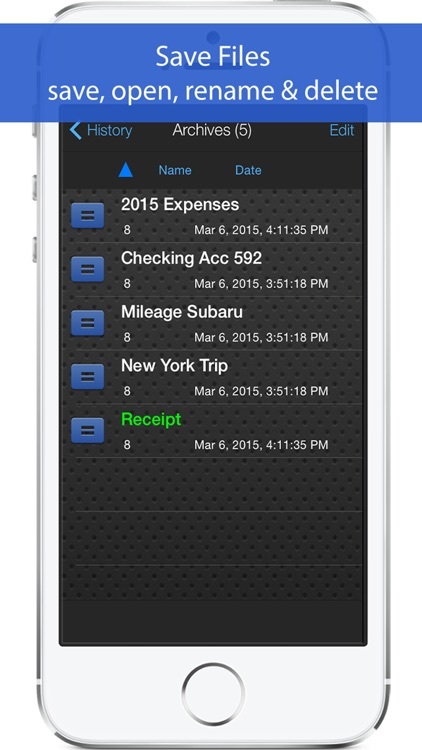 Accountant Calculator is the perfect calculator for general everyday use. Use it for adding columns of numbers, invoicing, point-of-sale receipt generation, income taxes, VAT and percentages, and much more. Save & retrieve important paper tape files for later use. Review & edit numbers, add or delete lines. You can also export paper tape files to iBooks©, DropBox©, Email or your favorite printing utility (see the FAQs). 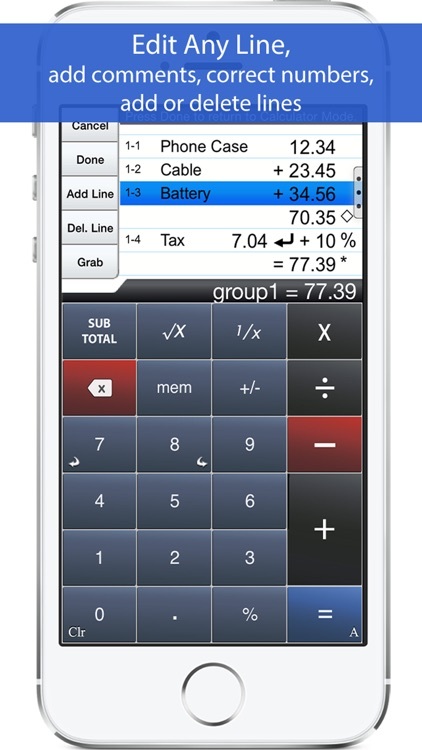 CPA's and Accountants: Please find 'Adding Machine: 10 Key Calc' in the App Store which is a 10-key compliant adding machine with reverse numeric/operator entry to add streams of numbers (see the 1st FAQ). Try before you buy. 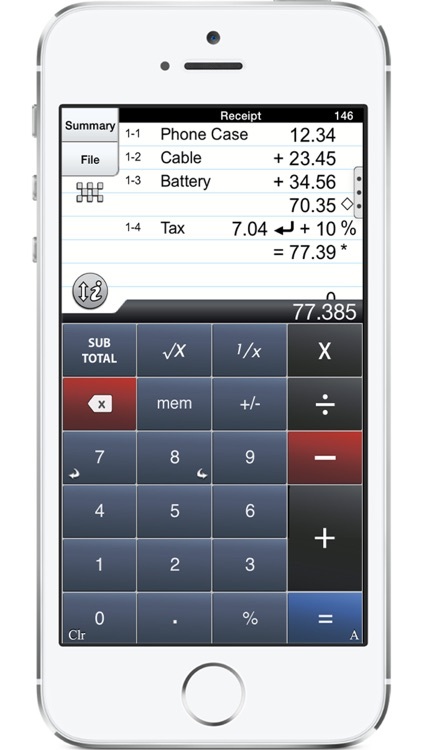 Find our 'Accountant Lite Calculator' in the app store. ● iPad version is proudly ranked in "Top 10 - Finance" in the App Store. 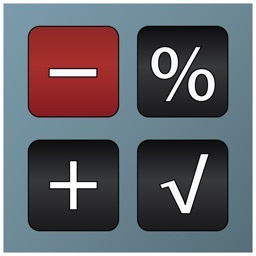 ● Strategic Finance (Tools of the Trade): "If you're looking for a professional desk calculator…..check out Interlocken's 'Accountant Calc' (for iPad)." ● AppsWild.com: "Whether you're tracking your monthly budget, coming up with an estimate of costs for a project you're working on....this App should be your first choice." ● Review up to 350 lines of your paper tape and fix errors as needed. 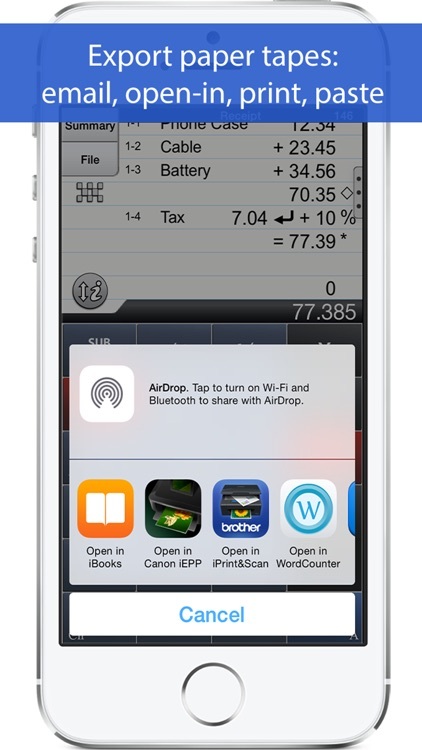 ● Export a PDF file to iBooks, Dropbox, Email, or your favorite printing utility. ● Add comments using voice dictation. ● Add, delete and modify lines and recompute results automatically. Q1. 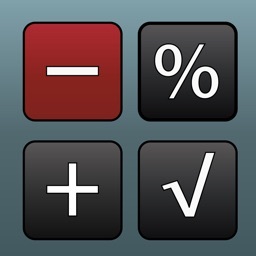 What is the difference between this App and Interlocken's 'Adding Machine: 10 Key Calc' in the App. Store? A1. Both calculators are single-column adding devices. Both have iPad versions with full-size (1:1) keyboards. 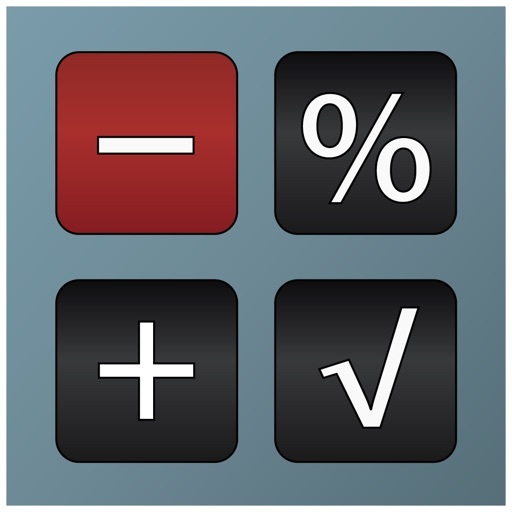 'Accountant Calculator' supports the free chaining of +, -, x, /, %, √, 1/x and is easier to use if you are not familiar with how a '10-key' works, while 'Adding Machine: 10 Key Calc' uses inverted number/operator entry, the same as a 10 Key adding machine, commonly used by Accountants and CPA's. A2. Checkout the iPad version with its large (1:1) keypad and several aids for touch-typing. Q3. How can I quickly clear the paper tape? A3. 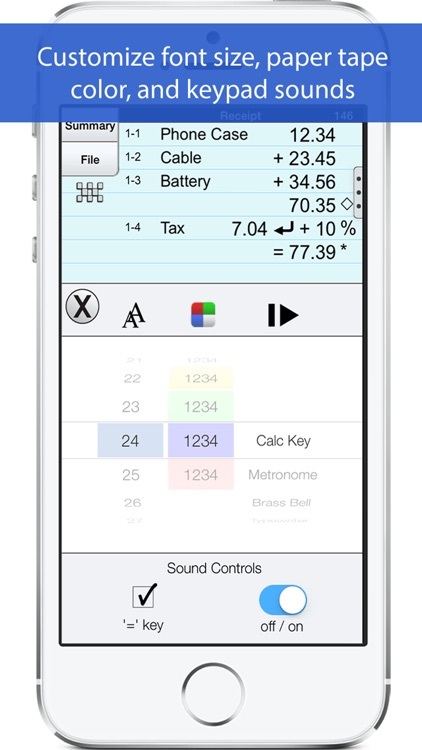 Just double-tap the round 'i' (info) button to clear the paper tape. Q4. How can I edit an incorrect number or add & delete lines from the paper tape?